The bags are fine other than the badges with "Ashbory" on them are sewn in rotated 180 degrees. The basses are great. Get a brand new Ashbory extra cheap! Of the blem bagged basses Large Sound received, all but one had 2007 serial numbers, and that one had a December 2006 serial number. 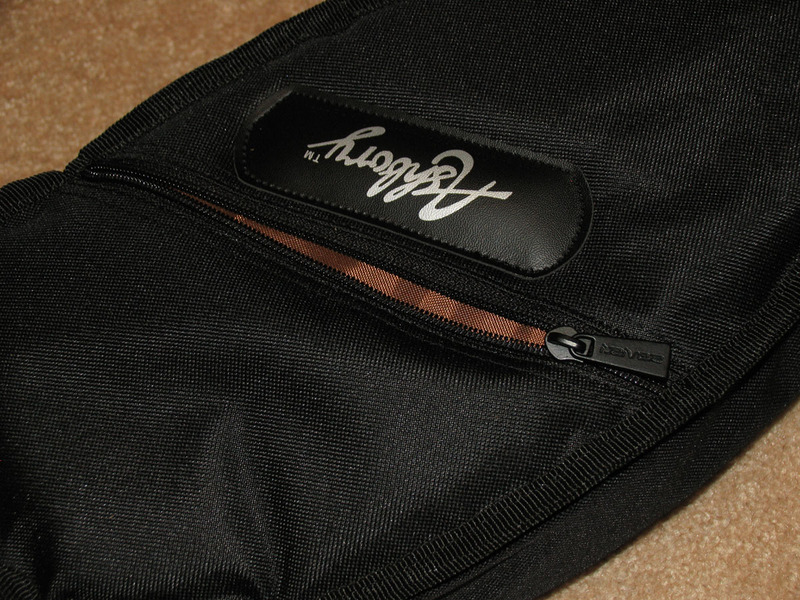 Every order received from the beginning of 2007 through the end of June had blem bags. Regular bags started appearing again at Large Sound in mid July, which is also when the last of the basses with blem bags in Large Sound inventory was sold. iRiver zipper: I saw this and was thinking "That iRiver?". Yup, logo and all. It used zippers with the old style logo from consumer electronics company iRiver. Odd.